The Biggest Lie in American Politics: Abolish the Electoral College to Make Things Fair – ACTUALLY, Most U.S. Voters Will Have NO Say at All – I Am Not Ashamed Of The Gospel Of Christ! (True Conservative Pundit) Everyone running for the Democratic nomination has an opinion on the Electoral College, and quite a few who are not running for anything, like Hillary Clinton and Eric Holder. Of course as is to be expected, these Politicrats are in favor of getting rid of the Electoral College. Warren went on to say that she favors removing so-called “voter suppression” laws because they stop people from voting. In other words, having to have some form of I.D. is going to stop people from voting. This is yet another bald-faced lie. If one can vote without any I.D., then it is (or it should be) common sense that voter fraud is very easy to accomplish. Bouie, echoing Elizabeth Warren goes on to point out that electing the president by popular vote lends weight to every vote. The idea being that the sum total of all the votes cast in the U.S. will determine the winner of the election – and that many “rural” counties are in non-rural states like, California, New York, Illinois etc. I will not call out the Times columnist as a liar, but I will say his article, along with the Democrats echoing point of view is very misleading and does not represent the facts concerning what would happen if the Electoral College were to be abolished. These Politcrats and all who support them are either idiots, woefully ignorant, or just don’t give a fig about fairness as long as they get their way and the Hell with the American people and the Constitution. The truth of the matter for anyone who can manage to rub two brain cells together is that eliminating the Electoral College will in effect render the majority of U.S. voters ballots useless. Electing the president by popular vote would mean a simple majority of U.S. voters would determine who the president is going to be. That sounds fair, and it sounds good right? 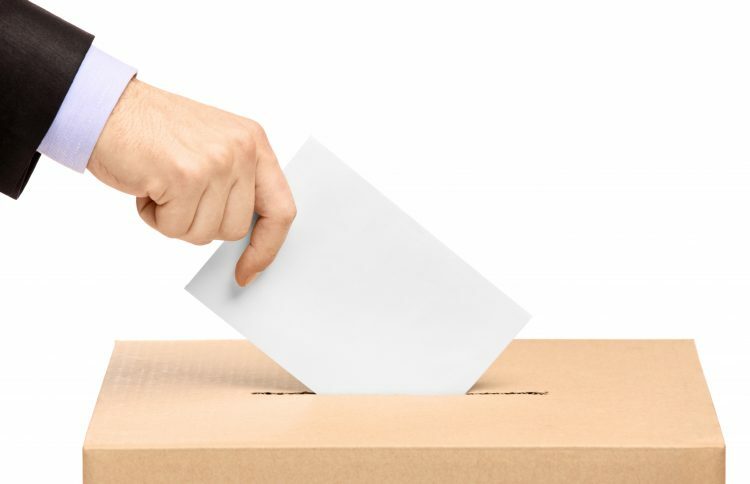 In actuality, determining the presidential election by popular vote is NOT fair at all, and the Democrats know this – why do you think they are pushing so hard for it? The Democrats will manipulate every situation to their own advantage regardless of whether or not it is good for the country. The popular vote, given the current geo-political state of the United States, would almost certainly guarantee a Democratic (liberal) president without fail. Let me explain the Electoral College and why it IS the best and fairest election system vs. utilizing a popular vote. 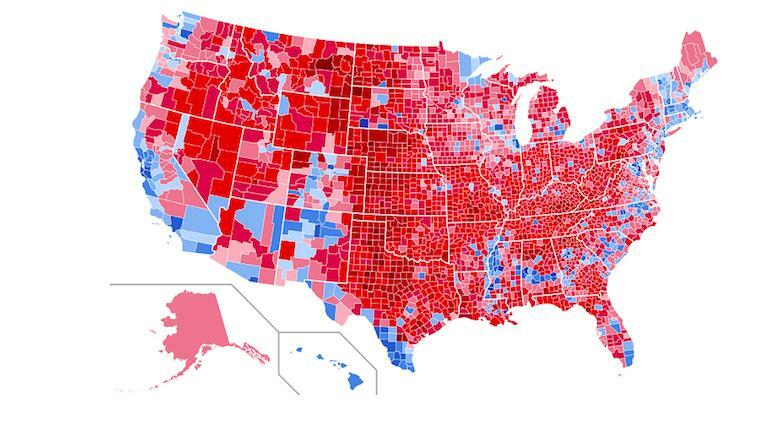 Look at the above election map; this is the election map from the 2016 presidential election. Pretend for a moment that you know absolutely nothing about elections. Now lets also pretend that in 2016 the president was elected by popular vote. Now notice that the largest part of the United States is colored red on this map. One would think that the candidate who scored the red votes would be the winner of the election right? That perception would be completely wrong. In a popular vote, the areas in BLUE would have determined the winner. Hillary Clinton would have won the election. The Times columnist states (I’m paraphrasing here) that a popular election would represent the people of the U.S. as a whole much better than the Electoral College. I just showed you that this is a lie. A large portion of the U.S. geographically – voted for Donald Trump, but in a popular election, Hillary Clinton would have won the presidency. How then is this representative of the entire population of the U.S.? It is obvious that the better part of the U.S. favored Trump, not Hillary. Looking at the election map, one can surmise that the largest U.S. cities combined together have more population than the rest of the country put together. So basically, the largest part of the population DID vote for Hillary Clinton to be president. That being said, the larger geographic mass of the country did NOT vote for Hillary. So a large part of this country, IF we utilize a popular vote, will NOT have a say in the presidential elections. The largest cities all across the U.S. are predominately liberal, the Democrats might be (they are) a bunch of immoral crooked players, but that in no way makes them stupid. They KNOW the liberals will lock up the presidential elections – permanently. The only way that this would change would be if the big cities populations changed over to being conservative, not likely to happen. The Republicans need to step up to the plate and fight this foolishness and fight it hard. The Electoral College insures a fair vote across the entire country, not just for the liberal strongholds. But the Democrats do not want you to know that. The framers of the Constitution were aware of all this, that is why they designed the Electoral College. If you want YOUR vote to matter, it’s time to make some noise; it’s time to vote the Politicrats out of office. Don’t say you were not warned. ‹ Can We Not Condemn Hate Without Wearing Oppressive Symbols? Well it’s no secret that the party of hate has been packing states like California with those who share their views. And they would love nothing better than to have elections made by only a handful of states leaving the rest in the dust. Time to speak out.